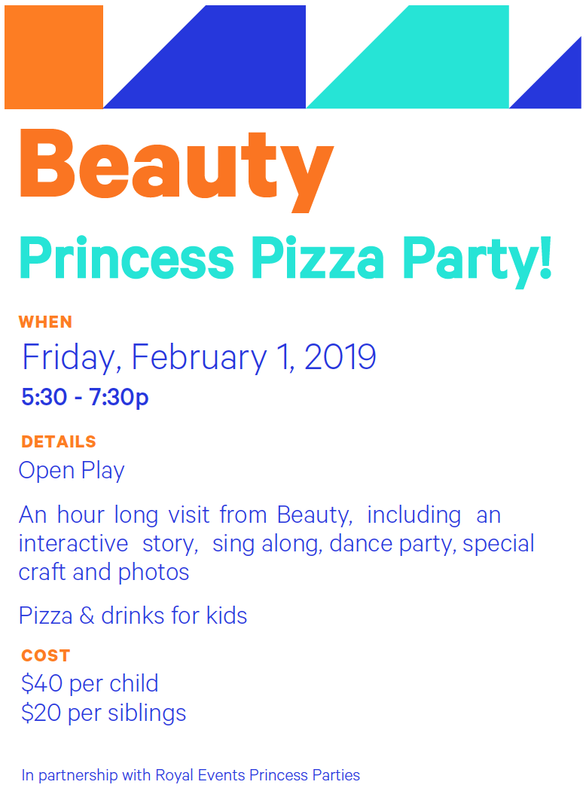 Come join us for our Beauty Princess Pizza Party! An hour long visit from your favorite Beauty Princess which will include a sing along, dance party, photos and an interactive story. Limited spots available, registration required.